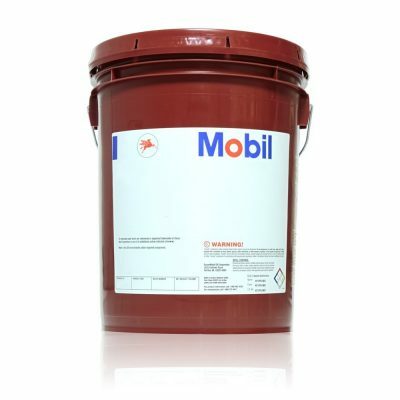 Mobil EAL 224H is a premium performance environmentally aware hydraulic fluid designed to provide outstanding performance in hydraulic and circulation systems operating at moderate conditions. It provides excellent anti-wear and film strength characteristics necessary for hydraulic systems operating under high load and high pressures. Its 12-stage rating in the FZG Gear Load test demonstrates a high level of protection against wear and scuffing and the suitability of this product to protect gears and bearings used in conjunction with hydraulic systems. Mobil EAL 224H provides excellent protection against corrosion and ensures very good multi-metal compatibility allowing its use in systems employing various metallurgy that may be used in pump and component designs. It also provides very good thin oil film protection against rusting. In addition to its exceptional performance capability, it satisfies the requirements for ready biodegradability and non-toxicity making it a desirable product where leakage or spillage of conventional oils could result in damage to the environment. It is formulated from select, high-quality, high-VI vegetable oils and a specifically engineered additive system to meet or exceed the performance requirements of most hydraulic pump and system builders while satisfying the stringent criteria for biodegradability and toxicity.